This piece is the colophon page from a boxed set of 9 color drypoints. 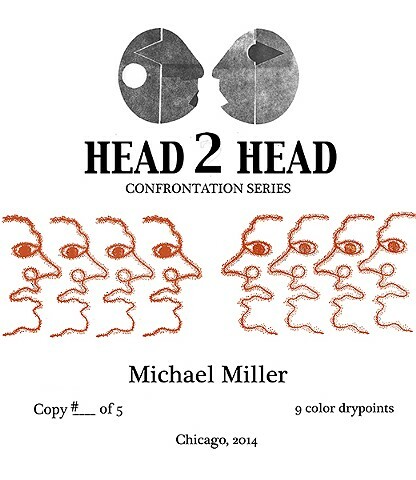 The title of the set is "HEAD 2 HEAD- Confrontation Series"
This entire series will be on exhibit in the Faculty Projects Exhibition at the Sullivan Galleries at The School of the Art institute of Chicago from December 13 (opening) until February 16. Along with the Head 2 Head series, there will be 8 other recent pieces.